Shawnee Ski Resort is 4 Season Golden Experience! Situated in East Stroudsburg, this vacation home is within 3 mi (5 km) of Shawnee Mountain Ski Area, Great Bear Golf Club, and Shawnee Gallery. Delaware Water Gap National Recreation Area and Pocono Indian Museum are also within 6 mi (10 km). 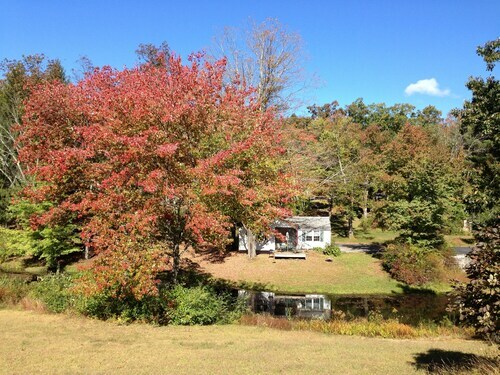 Situated in East Stroudsburg, this romantic vacation home is within 3 mi (5 km) of Shawnee Mountain Ski Area, Delaware Water Gap National Recreation Area, and Great Bear Golf Club. Shawnee Gallery and Pocono Indian Museum are also within 6 mi (10 km). 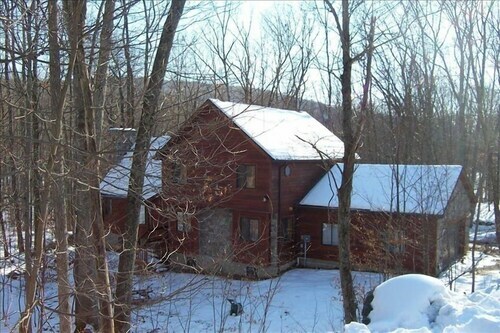 Situated in the mountains, this romantic vacation home is within 1 mi (2 km) of Delaware Water Gap National Recreation Area and Shawnee Mountain Ski Area. Great Bear Golf Club and Pocono Indian Museum are also within 3 mi (5 km). 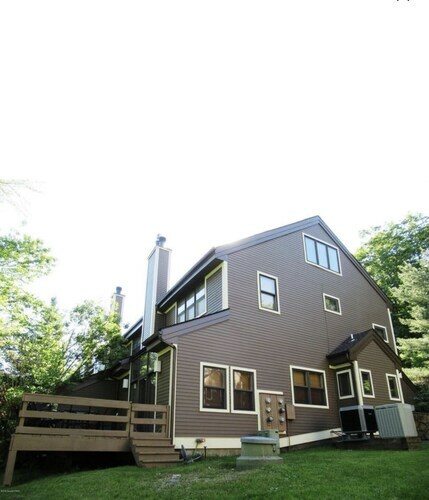 Situated in East Stroudsburg, this property is close to Shawnee Mountain Ski Area, Shawnee Gallery, and Great Bear Golf Club. Local attractions also include Worthington State Forest. Situated in the mountains, this historic resort is 2.3 mi (3.7 km) from Shawnee Mountain Ski Area and 2.9 mi (4.7 km) from Shawnee Gallery. East Stroudsburg University and Great Bear Golf Club are also within 6 mi (10 km). 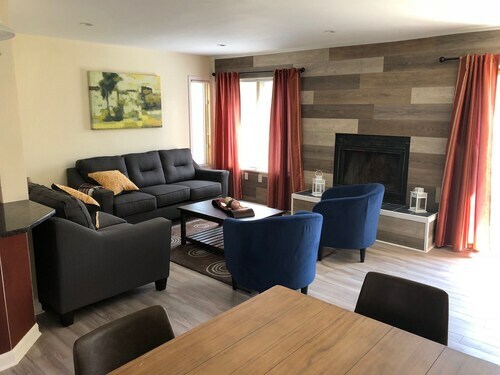 This family-friendly East Stroudsburg vacation home is within 2 mi (3 km) of Great Bear Golf Club and Delaware Water Gap National Recreation Area. Shawnee Mountain Ski Area is 2.9 mi (4.7 km) away. Situated in East Stroudsburg, this historic vacation home is within a 15-minute walk of Delaware Water Gap National Recreation Area and Shawnee Gallery. Shawnee Mountain Ski Area and East Stroudsburg University are also within 6 mi (10 km). Situated in East Stroudsburg, this cottage is 2.4 mi (3.8 km) from Great Bear Golf Club and 2.9 mi (4.7 km) from Pocono Indian Museum. Shawnee Mountain Ski Area and Delaware Water Gap National Recreation Area are also within 6 mi (10 km). Inhaling crisp mountain air. Staring down the slopes with friends. Sipping hot chocolate by the fireplace. Sounds tempting, right? Then book in your trip to Shawnee Mountain Ski Area immediately! To see it, head about 100 miles (161 kilometers) from the state capital, Harrisburg, to Stroudsburg. Since it's only 2 miles (3 kilometers) away, many travelers who visit Shawnee Mountain Ski Area take a room at the Value Inn. You can save some of your cash for the things you really enjoy when you spend a night or two at one of the reasonably priced hotels that are not too far away. 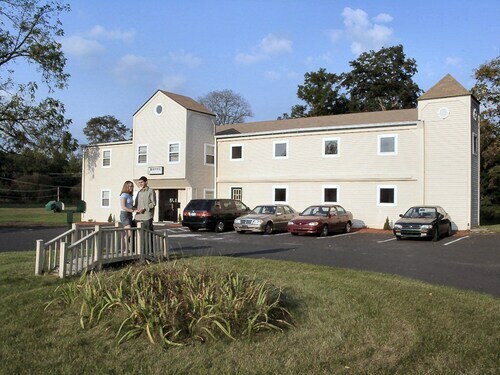 A couple of recommendations are the Pocono Inn At Water Gap and the Days Inn East Stroudsburg. Have some high octane fun at Pocono Go-Karts and Play Park. Race down the straightaway, as you battle to come in first! You should consider spending an afternoon at a local landmark, Pocono Bazaar MarketPlace. Have fun as you browse the charming stalls offering locally produced goods. Golf is a great way to relax and exercise at the same time. So if you'd like to give it a shot, book a tee time at Great Bear Golf Club. If you're an art lover, drop by Shawnee Gallery to see the exhibits. Golf is a nice way to relax and exercise at the same time. So if you're looking to have a hit, visit Shawnee Golf Resort. 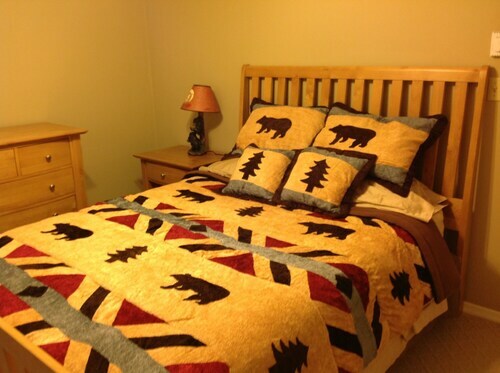 How Much is a Hotel Room in Shawnee Mountain Ski Area? 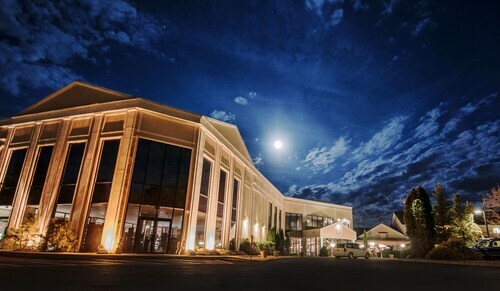 Hotels in Shawnee Mountain Ski Area start at $69 per night. Prices and availability subject to change. Additional terms may apply. Enjoy the Spa, Salon, ski Facilities, Golf Course & Restaurants!